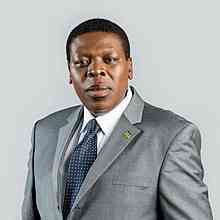 CS Eugene Wamalwa Heckled Again, Ejected from a Meeting In Bumula, Bungoma County. Seems the gods have conspired against Jubilee CS Hon Eugene Wamalwa.After the unfortunate incident in Vihiga, CS Eugene has just been ejected from yet another gathering in Bumula a few minutes ago. The CS was addressing a Bumula professionals sitting when he tried to attack senator Weta and super governor Wangamati who was present. Eugene’s demeaning words towards the governor didn’t seem to sink well with the professionals who demanded his immediate ejection from the gathering. The police intervened and rescued the situation but not until the CS had received some good insults and hips of bottled water together with his goon Jaramogi.